Does Your Industry Depend on Compressed Air Dryers? A large number of companies need dry air in order to complete their production, maintenance or storage activities successfully. Often needed on an on-going basis, it's vital to find compressed air dryers that are dependable and require little or no maintenance. We are a leading provider of advanced compressed air solutions, providing an advanced range of air dryers that are specifically designed to give straight-forward, trouble free use. Our air dryers are created to not only work effectively, but also to be able to operate in a safe manner no matter where they're located. Explosion proof and able to run without the use of electricity, our air dryers can run continuously for months. No desiccant is needed; just a six-monthly cartridge change. Energy-efficient and durable, our air dryers are suitable for a wide range of applications. Coalescing Air Filters remove dirt, water, and oil in compressed air and other gases to maximize uptime and save money. Remove 99.99% oil, water, and solids at .01 micron. Extremely long filter cartridge life. Protect and increase the efficiency of costly equipment. Options include differential pressure indicator to alert you when the element needs to be replaced. Available in both aluminum and stainless steel. 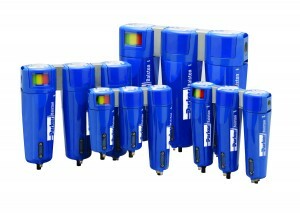 Membrane Air Dryers are small, lightweight, and require no electricity. A reliable, efficient and economical alternative to PSA and refrigerant dryer technologies. Parker Balston IT series membrane dryers are rated for a dewpoint of +35F and the 76 series dryers can reduce the dewpoints to as low -40F. Very minimal maintenance, with no desiccant to change. The air dryers we provide are designed and constructed to cope with challenging environments. From labs through to pressurized electronic cabinets, applications where air which requires a low dew point, situations where freezing needs to be prevented and many other uses, our dryers offer a versatile, cost-effective solution. We are an established provider of automation, engineering and custom painting for a number of different industries. Creative and inventive, we are able to create custom answers for our customers, giving them products which are tailored specifically to the needs of their operation. To find out more about what we can offer, or to discuss your requirements with us, call us at (800) 843-5558. Did you know Brenner-Fiedler offers air quality testing at no cost to you? A highly trained specialist tests your compressed air. Highly sensitive instruments will measure particulate counts, temperature and dew point. Quick process will not interfere with your production. You will be provided with detailed reports targeting critical areas for compressed air improvement. Determine compressed air contaminant level. Eliminate frequent replacement of production equipment components. Eliminate production downtime and excessive maintenance. Measure moisture content of compressed air. Confirm mainline dryer performance. Reduce operating costs. Need more information? Contact our dedicated specialist Kelly Menendez at 562.712.2823 or email kmenendez@brfa.com.